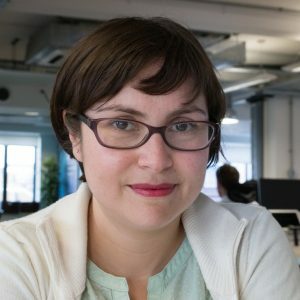 We interviewed Veronica Meneses, Automation Test Engineer at Onfido on her experience and thoughts on women in tech. As an automation test engineer, my job is to provide solid tools for our teams to be able to release new and better features for our clients and their users. I work in a cross functional team alongside product owner, designer and developers and I contribute to decisions we make for the product. I’ve been a tech nerd from an extremely young age, I’ve always been fascinated by technology, the future, new and shiny. Always liked problem solving and maths and science subjects were my strengths. It was pretty natural and almost obvious that my place was in technology. But this is a problem I never saw before I moved to Europe. In my native Chile, half my class at Uni were women, and half my lecturers were women. In fact Computer Science is considered a ‘soft’ engineering (in the sense you sit in an office, and you don’t need a helmet or security gear to come to work) and I think this makes it equally attractive to men and women. I’m completely baffled by the fact that it is a problem over here. Maybe? I hope not. There are many roles in ‘IT or Tech’ as an industry, that aren’t necessarily in development so the idea of having a whole industry that’s just for men is just crazy! I find there is room for all skill types and backgrounds. I think the knowledge that there are so many resources to learn nowadays, many of them free, available for all skill level, and the conviction that you should trust your ability to learn. We all came to this world not being able to walk or speak! But also, the knowledge that in Tech there is room for all skills in many different areas. I don’t think there’s real barriers. It only takes that you do your homework and that you have the courage to make a change. You don’t even need a Computer Science degree, or even a Science degree! Some of the best people I’ve worked with have had degrees in Sociology, another one in English and another one didn’t even go to uni or college. Resources are there, give them a go! In the case of younger girls though, I think it’s important your school and your environment is an encouraging one. The reason why I’ve travelled so far is because no one *ever* said “no, that’s not for you”. ‘You have the world in your hands’ my mum says. I think educating women from a very young age to know that they can do anything they want, is key. Never close doors, never apply labels to yourself. But we, as the female working force in Tech, must shout: We’re here, come join us carrying on the legacy of so many extraordinary women that throughout history have shaped software engineering and have contributed enormously to where it is today. I think studying these women’s stories should be part of all curriculums, in schools and uni or college.